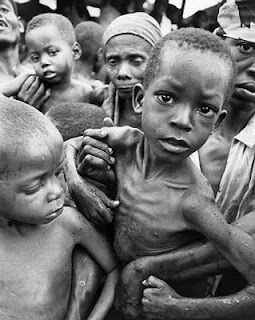 You may have seen the pictures of starving people in the Horn of Africa on your TV screens. We are all asking: how can this be happening again? Parts of Somalia, Kenya and Ethiopia are facing one of the worst droughts for 60 years, and around 10 million people are desperately in need of food, clean water and basic sanitation. We can help stop starvation now - and stop the causes of starvation. Firstly, we need to make sure funding is provided to pay for urgent help that will prevent people from dying. Secondly, the promises that world leaders made to invest in long term solutions must be kept, so that the people of this region can feed themselves and will not need food aid in the future. But time is running out. Please ask your friends, family and co-workers to join you as well. And while spreading the word is critical, please only pass this message along to those who know you -- spam hurts our campaign. What is missing in Hamra? Mind Soup on paper again!